For Microsoft Windows Surface RT tablet. Cord Length: 110cm. Output: DC 12V/2A. Weight: 96g. Specifications: Input(AC):100v-240v 1.5A 50/60Hz Output(DC): 12V 2580mA Compatible with: For Microsoft Surface Pro 3 Pro 4 Tablet. Galaxy Note Tab 10.1 GT-N8013Samsung Galaxy P7500 P7300 P6200 P6800 P7310 P1000 P6210 P6810 P7510 P3100 P3110 P3113 P5100 P5110 P5113 N8000 N8010. Galaxy Tab 7.0 SGH-i987 (AT&T). Galaxy Tab 7.0 SCH-i800 (Verizon). For Samsung Galaxy Tab S 8.4". For Samsung Galaxy Tab S2 8.0". For Samsung Galaxy Tab A 7.0" T280 T285. For Samsung Galaxy Tab A 8.0" T350 T351. For Samsung Galaxy Tab Pro 8.4". For Samsung Galaxy Tab 4 7.0" 8.0". Input:AC100-240V, 50/60Hz (worldwide use); Output: DC 12V 3.6A 48W. 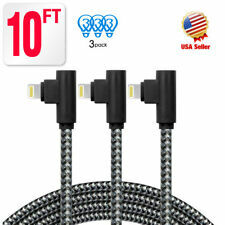 With 1.7 FT Power cord. It works with Microsoft Surface Pro 1, Pro 2 & Surface RT. Such as battery, ac adapter etc. You may also like. 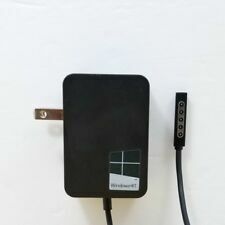 65W ( 15V 4A )AC Charger Adapter: For Microsoft Windows 12 inch Surface Pro 3,Surface Pro 4 Core M3 Tablet,Surface Pro 5, Surface Go,Surface Book/Book 2, Adapter Model 1625,1706,1735. Input Voltage: AC100-240V (Worldwide use); Output: DC 15V 4A;USA standard plug version. Automatic thermal, overload cut-off, and short circuit protection Please Note: This adapter Not compatible for surface pro 4 i5 i7 tablet. 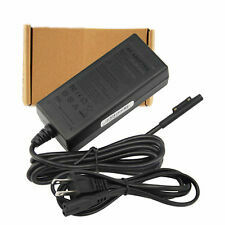 Package Included: 1 x 65W Power Charger 1 x Power Cord. The TechMatte Lightning Cable Charging Adapter is specifically designed to make charging your Apple Pencil easier. This is achieved by attaching one end of the adapter to the charging end of your Apple Pencil and the other end to a lightning cable via a female to female connection. IPad Mini 1,2,3,4. iPad PRO 9.7in/12.9in. Extra USB charging port Separate charger and USB cable 5V 2.1A (10W) Output Cable Length: 1 meter / 3 feet Charge your device with this USB wall charger and data cable kit. The dual port USB wall charger provides stable power and is strong enough to charge two devices simultaneously. The data cable can also be used to sync data with a computer. This kit can be used with any device that has a Micro-USB port. Input: AC100-240V, 50/60Hz (worldwide use); Output: 5.2V 2.5A 13W. Such as battery, ac adapter etc. All item passed FCC / CE / ROHS certificates. We work with a good quality OEM supplier and factory. Quantity: 1 COMPATIBLE WITH: for Apple ® iPad ® 9.7 (6th generation) 2018. 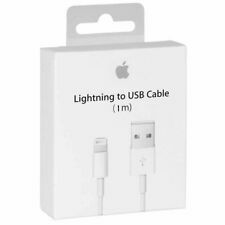 Products are Apple® compatible and not endorsed by Apple, Inc. USB Charg er & Data Cable for devices. Small and lightweight for convenience, portability, and storage. Gauge 8 pin sync CABLE. The cable is a heavier gauge than the standard 8 pin cables (see last picture comparison). IF you need a TYPE C cables - send a note and we will switch to a type C cable. Cable specs. Apple iPad 3 Series (3rd Generation): iPad 8GB, 16GB, 32GB, 64GB, 128GB. Apple iPad Series (1st Generation) : iPad 8GB, 16GB, 32GB, 64GB, 128GB. Apple iPad 2 Series (2nd Generation): iPad 8GB, 16GB, 32GB, 64GB, 128GB. Adapter Power: 36W. Microsoft Surface Pro 3,RD2-00078ST Tablet/Laptop Convertible. Output: 12V 2.58A. Item includes AC Adapter. We are happy to help you. It's a safer, faster and free way. All item will warranty one year. (Input: AC100-240V, 50/60Hz (worldwide use); Output: 5.2V 2.5A 13W. MPNDoes Not Apply. excluded. ).